Question: In honor of banned books week, what’s your favorite banned or frequently challenged book? Click Here for the 2010-2011 list in PDF format. Answer: After perusing the list of books challenged in 2010 and 2011, we are delighted to find that many of the books also appear on our list of completed reads: Anne Frank, Brave New World, Slaughterhouse-Five, The Curious Incident of the Dog in the Night-time, and The Catcher in the Rye. Plus, we really, really want to read Water for Elephants (does that count.... probably not). 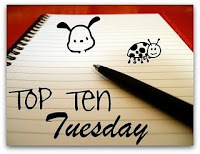 Anyway, our favorite from the list has got to be.... drum roll.... The Hunger Games! No big surprises here although some of the competition was quite stiff. As always, thanks to Crazy for Books for hosting this fun event. Have a great weekend! 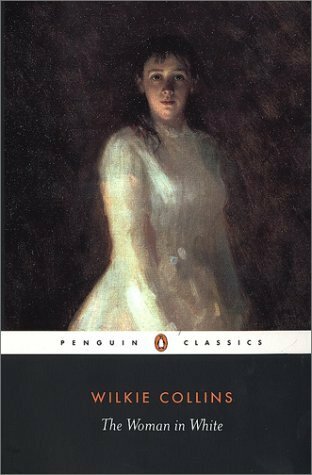 A Tale of Two Cities (Charles Dickens) – It seems that everyone but us recognized the brilliance of this novel. Maybe the second time’s the charm. The Hitchhiker’s Guide to the Galaxy (Douglas Adams) – We never underestimate the power of a good laugh! You shouldn’t either. The Hobbit (J.R.R Tolkien) – It’s been far too long since we re-read this one. Our main goal is to be completely up to speed in time for the movie release. Magic Kingdom for Sale – Sold (Terry Brooks) – For some reason we (Evan) have very fond memories of this book from childhood (12ish). It’s time to see if said fondness remains intact as an adult. Plus, we think there’s a more recent addition to this series??? To Kill a Mockingbird (Harper Lee) – Every so often we need a Scout and Atticus fix. Wuthering Heights (Emily Bronte) – We’re fairly open about the fact that we loathe, loathe, loathe the character of Heathcliff. That being said, sometimes it’s fun to torture yourself. Plus, it really is a fascinating book. Harry Potter series (J.K. Rowling) – We’re in the midst of a 14 month dry spell. Needless to say, it’s nearly time for another reread... or re-listen! Skipping Christmas (John Grisham) – We need a guaranteed good Christmas read this December. A Christmas Carol was last year, so the Kranks will probably get their chance in 2011. Ulysses (James Joyce) – Ha! Only joking! We will never, no way, no how, ever never read this book again. NEVER! Noel Strachan got more than he bargained for when, as solicitor, he notified Jean Paget of her unexpected inheritance. He was intrigued by his new client and quickly learned of her horrific past. It turned out that Ms. Paget was taken prisoner by the Japanese’s army while working overseas in the country of Malaya. Along with several other women and children the group was marched unapologetically back and forth across the country while WWII ran its course. The conditions were ghastly and many from the group didn’t survive, yet, for Jean Paget, a chance encounter would alter her life forever. We have so many good things to say about A Town Like Alice, so let us get started. We loved the Aussie, Joe Harman. Yes, we loved Jean Paget too, but Joe Harman is the most recent addition to our ever-growing list of all time favorite literary characters. That being said, Jean Paget was an extraordinarily courageous woman. She took on a leadership role in the jungles of Malaya during an incomprehensible set of circumstances. And her post war life was no less impressive. We don’t want to say too much, but she was charitable when most people would have looked the other way and she managed to survive a pretty epic horse journey. We also enjoyed the irony of Jean being unable to fully take control of her inheritance because her benefactor didn’t think too highly of the money management skills of females. Guess who gets the last laugh... if she would have been the type to laugh at things like that. 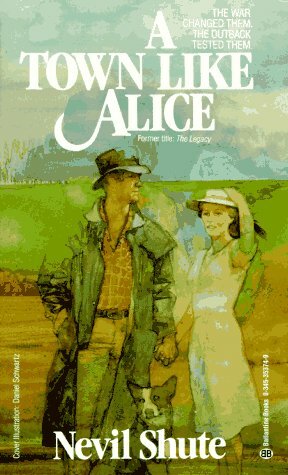 We don’t have too many negative things to say about A Town Like Alice, but we could see how some readers might think the actual climax occurred at the halfway mark with the culmination of WWII. For us though, there was so much more to the story and we loved to watch the intriguing post war scenario play out. We also thoroughly enjoyed exploring the villages of Malaya and various parts of Australia. Still, what makes this novel even more interesting is that much of the plot is based on real events. Why do we suddenly want to move to the outback? Why: With such a clear allusion to the dysfunctional brothers in Genesis, we were intrigued. 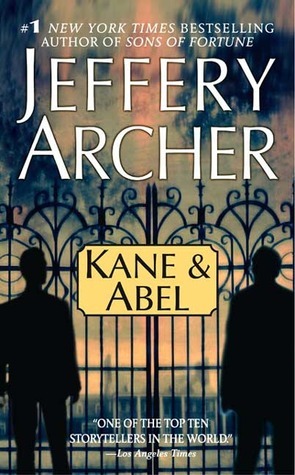 Would the Able character in Jeffrey Archer’s novel suffer a cruel fate at the hands of his brother? Does the title even refer to a pair of brothers? Does the title even refer to people? Is Jeffery Archer even a real person? These questions plagued us for several months, until finally, we decided to pursue the sensible option and just read the book. that its time we're aware. The historical aspects of the novel were also very intriguing. The sinking of the Titanic, WWII, and the US stock market collapse in 1929 all had a profound impact on the character’s lives. Even events like the commercial release of Gone with the Wind and McCarthyism were woven into the story, yet the narrative stayed focused and never bogged down. By the end, we had a deep appreciation for the characters and were sad finish the last page. Then we stumbled across the sequel... bring it on! Late one night Walter Hartright, a young and talented artist, decides to take a leisurely walk, when he stumbles upon a wild beast of unparalleled strength and viciousness, with bloodstained fangs that would make a Balrog seem... sorry, actually he only happens across a woman dressed entirely in white. Following this chance encounter he learns that the woman was actually an escaped mental patient, which causes temporary distress, although Walter is confident that the event will have no bearing on his future. Oh, the naivety so often displayed by main characters. Almost at once Walter finds himself caught in a web of deceit and lies that span several generations and ends in blackmail and more lies, not to mention a ghastly beast with yellow veined eyes and a temperament akin to... sorry. Okay, so there aren’t any beasts in The Woman in White, although the villains are quite beastly. There is however a compelling mystery with rich characters and plenty of knots to untangle by the end. It was written with a disciplined pace that helped us really understand all the family history and fully appreciate the motives of the characters. Some might consider the narrative to drag on, but we appreciated the fact that nothing was rushed. And while we were able to work out some of the confusion and suspense before the big reveals, many tidbits kept us guessing until the very end. Another element that made The Woman in White unique was the changing narratives. The concept is hardly unique, but the premise was that whoever was closest to the main events would be the individual to move the story forward. For that reason it felt unique. The changing perspective also added some nice variety and we only wish Mr. Fairlie was able to get some additional face time. We also came across a pair of characters that made our blood boil, which is almost always a good thing. Due to completely fictitious contractual obligations we won’t mention any names; however we will say that their villainy is comparable to Uriah Heap and Heathcliff. Overall, The Woman in White kept us engaged until the final page and gave us a new appreciation for the classic mystery novel. Why: Curiosity finally got the better of us (not for the first time...), forcing a full investigation into the mysterious entity known as Jacqueline Wilson. While we’ve never heard of her books, she’s a BBC Big Read force to be reckoned with. With 4 novels in the top 100 and 14 overall, her stats are second only to Charles Dickens and Terry Pratchett. How have we not read one of her books? Tracy Beaker is an orphan with a fiery personality and a steely sinew who never cries - thank you very much. She may have the occasional bout with hay fever... but she never cries! Her life to this point has been tragic and Tracy’s greatest hope is that her mother will return to gloriously sweep her away forever. In the meantime she struggles to find long term foster care and meaningful friendships. Is there reason for hope? You’ll have to read Tracy’s personal diary to find out. We really enjoyed how The Story of Tracy Beaker was presented. The beginning was written in the form of a diary that throws out random personal questions. It was a very unique way to introduce a character. The remainder of the novel was a first person account of Tracy’s life and truly the voice of a 10 year old girl trying to work through her tragic life by putting up a mask for the rest of the world to see. Despite her quick temper and oft impenetrable shell, our heart was touched by young Tracy. Oh, and her fellow orphan Peter Ingham was about the sweetest kid ever. 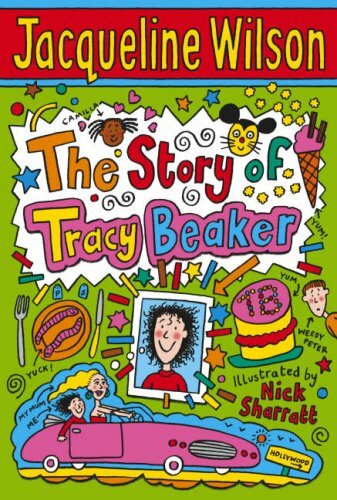 The Story of Tracy Beaker was a quick read with a powerful theme. As far as edgy Children’s Books go, it’s top shelf! We’re anxious to try another one of Jacqueline Wilson’s novels. Any recommendations? Against the backdrop of her eldest daughter’s suicide, A Pale View of Hills tells the story of a Japanese woman named Etsuko. The main character sets out on a journey of blurred self reflection of her earlier life in Japan. Specifically, she recalls a defining period of her life when she grew especially close to a woman named Sachiko. The rest is history (seriously) as the memories shared reveal the many horrors of Etsuko’s past. Do yourself a favor and learn as little about A Pale View of Hills as possible before you actually embark on the read. Now, there’s a chance that our own slowness-of-thought could have played a part, but we didn’t figure out the huge plot twist until the second to last page. 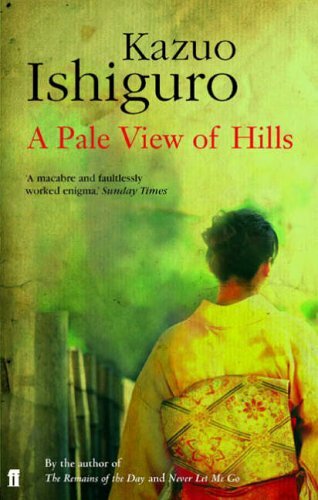 The entire novel, Ishiguro refuses to give anything away and pulls you along, just telling you enough to help you through the next chapter. Honestly, he makes you feel stupid, like you’re missing something even though it’s all right before your eyes. He did the same thing in Never Let me Go and we love him for it! The tone of this novel is somber and slightly disturbing, which added to the mystery surrounding the main characters. The setting was vivid and even though only a small glimpse in terms of years was provided, we came away with a better appreciation for the culture, family dynamics, and history of pre WWII Japan. The narrative does jump quite often which can be frustrating at times, but for us it added to the atmosphere that Ishiguro was trying to create (assuming we pretend to know what Ishiguro was trying to do with the novel). Question: Have you ever wanted a villain to win at the end of a story? If so, which one?? Answer: In most cases we like to see our villains suffer uncompromised retribution for their evil ways, however, there are a few exceptions. The first character that comes to mind is Oliver from I am a Genius of Unspeakable Evil and I Want to Be Your Class President. Oh, and Artemis from the Artemis Fowl series. Admittedly, both “bad guys” were written sympathetically so maybe they don’t count. Can we get a ruling on this? Just in case the ruling goes against us, some other scoundrels that we have a soft spot for are Zaphod Beeblebrox, Elphaba, and.... actually, that’s all we got. Can’t wait to find out who we missed! Thanks to Parajunkee’s View and Allison Can Read for hosting this fun event. Have a great weekend! Earlier last week we made the decision to embark on a momentous journey through the Chronicles of Narnia with our 6 year old son (featured HERE in this Vlog). After a lively debate over reading the books chronologically or by publication date, we decided to start with The Magician’s Nephew. We dove right in. Following the conclusion of chapter 3 the jury was still out, but then we arrived at the part in Charn where Digory reads the message above the bell. Suddenly, the room got quiet and the many questions that always accompany a nighttime read with any of our children ceased. We could literally feel his body tense as he waited for Digory to make his crucial decision. The chapter ends quite abruptly after the fateful strike of the hammer as did the reading session. Not surprising, our child was curious to know what to expect next. We may or may not have let slip that an evil queen would be making an appearance. Our blood froze. Our teeth gnashed. We knew we should have done more with Uncle Andrew’s voice. Would our son never appreciate the classics? First, a little background. Our son doesn’t get scared (for the most part)... he’s watched all the Star Wars movies, including when little Anakin gets burnt to a crisp, and the Pirate’s of the Caribbean where an entire crew of skeletons attacks the British navy. And yet, on this occasion our son was scared of a slightly oversized queen with a destructive temper. Suddenly we were filled with joy! Not because C.S. Lewis managed to scare the heebie-jeebies out of our son, but because books can do that. We’ve always said that the scariest villains are in books! With all the special effects in Hollywood and video games, the printed word can still do that to kids. Whether it’s laughing, crying, throwing things, screaming, swooning, or feeling happy - reading has so much power. 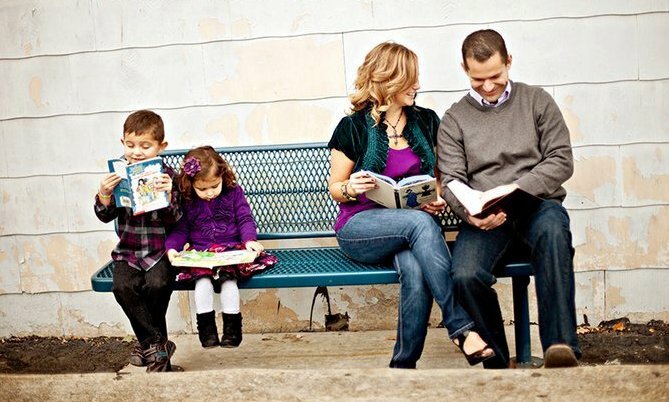 That’s why we love to read! If you’re still with us, we’d love to hear what book first spoke to you. Encouraged to write something meaningful, aspiring writer, Skeeter Phelan, decides to tackle one of the most turbulent issues imaginable in 1960’s Jackson, Mississippi. With the help and leadership of Aibileen Clark and Minny Jackson, two African American housemaids, the trio sets out to capture the oppressed voices of the town’s “help”. Having the project published could risk the lives of everyone involved, but remaining silent is an option they were no longer willing to accept. We didn’t love the conclusion. We wanted more. Now, let’s get something straight – we’re not the kind of readers that need a super happy ending with sugar on top, where the bad guys die a horrible death or suffer public humiliation while the good guys win the lottery and find true love’s kiss. In the case of The Help, we wanted more reflection. Despite our wish for a certain character whose name rhymes with Billy to suffer more, we were okay with how everything turned out. Given the racial tensions of the time, what these three ladies were doing could have resulted in a horrible tragedy. Yet, at the end of the book, it just....ended. After such a heroic undertaking, we wanted more of a clean-up job. The Movie: Honestly, there’s very little to say. The movie was everything that the book was, only with a much more satisfying ending. The set, the cast, and the script were all amazing and it was one of the best book-to-movie adaptations we’ve seen, maybe ever. Our overall experience was so positive that we won’t even bother pointing out some of the small inconsistencies. The character of Constantine was incredibly touching as well as the end scene with Minny and Mr. and Mrs. Foote. Tears were streamed down the face of at least two of the Two Bibliomaniacs more than once while watching the film... Bravo to everyone associated with the production. In conclusion, we loved The Help! The book is a very worthy read with an even worthier premise. Katherine Stockett did an admirable job with such an ambitious theme. And as great as the book was, our opinion is that the movie was better. This doesn’t happen very often, but in the curious case of The Help, these book lovers would rather watch it then read it. Agree? or should the Two Bibliomaniacs go seek some professional help? Technically, the Back to the Classics Challenge was the first to be closed out and finished in style with Les Miserables (which was a fantastic book). We also encountered some of our favorite books of the year in The Count of Monte Cristo and Shutter Island. The Gothic Reading Challenge came next and delivered some fantastic books in The Woman in White and A Pale View of Hills. The latter kept us in suspense until the very last page – nicely done Kazuo Ishiguro! And finally, the What’s in a Name Challenge was closed out with One Hundred Years of Solitude. Even better were The Princess Bride and I am a Genius of Unspeakable Evil and I want to be your Class President. This month also marked our very first Graphic Review, which introduced the Two Bibliomaniacs in full color illustrated form. Yep, it’s just as weird as it sounds! Here are the reviews that we posted in July that fit into our 2011 Challenges. As we look ahead to September, there is reason for considerable zeal. A Game of Thrones, Night Watch, Kane and Abel, Her Fearful Symmetry, and Trainspotting should provide us with one heck of a month! How’s everyone else doing in their 2011 reading endeavors? Send us a link so we can check out your progress! Question: If you could change the ending of any book (or series), which book would you choose? Why and to What? *Gulp* We (Evan) could have done without the last chapter in the Harry Potter series. There, we said it. Sure, it was nice to see everyone all happy and matched, but with there were sooo many new characters introduced. It felt like a beginning, not an ending. Plus, poor Draco, the wizarding world can figure out how to brew up a potion to completely change your appearance, but not one innovation has been made in the area of male pattern baldness. Come on, Slughorn... There you have it, in writing; one arm of the Two Bibliomaniacs could have done without the Epilogue: 19 Years Later. We’re back for the official Books to Movies Challenge September Check in! 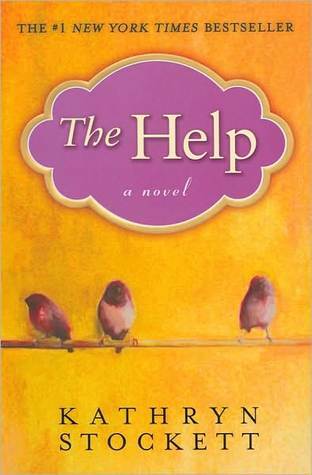 Try as we might to make excuses, August was a dismal month for us... We STILL haven’t made it to the movie version of The Help and not one review was posted that fit into this challenge. The good news is that we had a long heart to heart conversation last night and plan to turn things around in September. A babysitter is lined up for this weekend and a paperback copy of Trainspotting is waiting for us at the library! Nice work to everyone else who made some great progress this past month!!! Be sure to include any new reviews in the below Linky!